The first article that I ever published on the subject of wine was not some breathless puff on a 100-point Chilean Merlot discovered two-for-one down at my local Tesco. 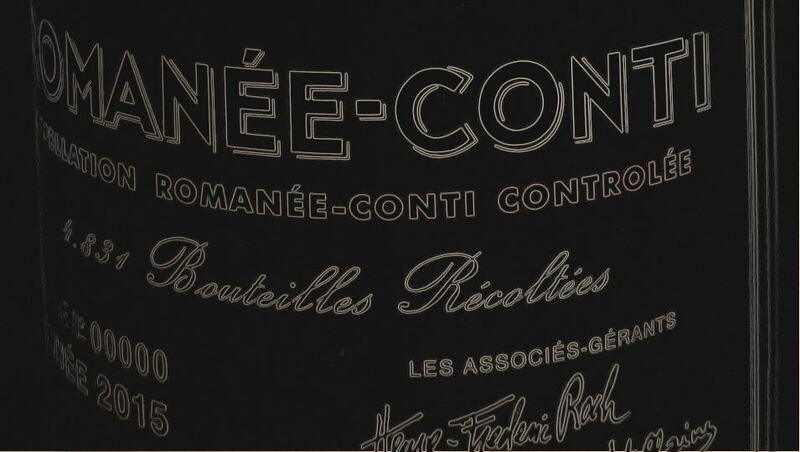 Embarrassingly, my first vinous words (not Vinous words) regaled a morning in the company of the recently bottled 1999s from Domaine de la Romanée-Conti at Corney & Barrow back in the mists of time otherwise known as March 2002. That article can still be read on wine-pages.com – I beg you to overlook its amateur prose...I was just beginning. I felt privileged to taste such fabled wines, and never imagined that over ensuing years I would imbibe and write about Domaine de la Romanée-Conti many times. Life is funny like that, isn’t it? But in my mind there was never any chance of a rerun through those 1999s. To congregate those bottles again represents one mouth-watering but prohibitively expensive sitting. I mean, have you seen the price of the 1999 Romanée-Conti – a cool £180,000 per dozen. It probably increased another grand in the time it took me to type those zeros. So I make do with the memories and remain grateful that I have tasted every release since the 1995 vintage. The latest, the 2015s, was one of the domaine’s best. The usual setting down in the basement at UK agents Corney & Barrow, Aubert de Villaine in the background chatting to Steven Spurrier. As usual, I was able to grab a few words with Aubert de Villaine, the Gandalf of the Côte d’Or, but with greater powers and shorter hair. He has attended Corney & Barrow’s annual tasting since they were granted exclusivity in 1993 where the domaine unveiled their 1990s. De Villaine commented that his 2015s were showing a little “anger” at being bottled, his poetic way of saying that the wines were discombobulated after being incarcerated in glass. I am not sure if I totally agree with that sentiment. Personally I felt that the wines performed well, except perhaps the La Tâche, which showed a little more stem addition than its siblings. 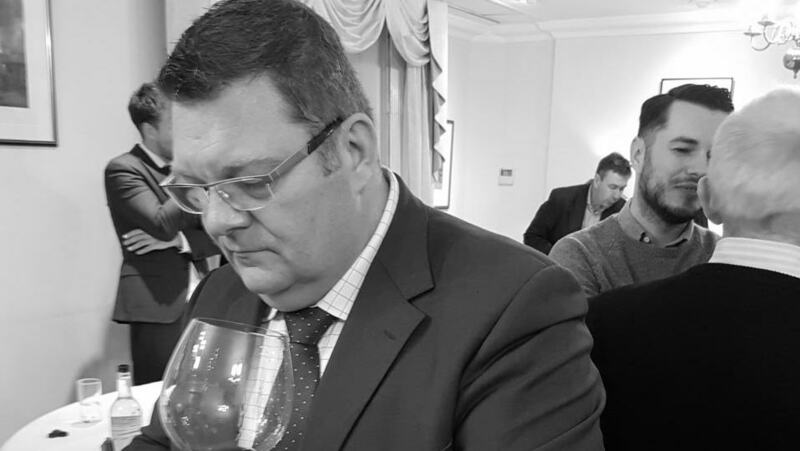 De Villaine offered an intriguing vintage comparison when he suggested that the 2015 and 2016 may ultimately be seen as modern-day counterparts to 1961 and 1962, the former structured and dense, the latter more ethereal and finessed. Despite my own limited experience of those older vintages I can see where he is coming from. I asked him if there was a single cru that currently gives him most pleasure. Aubert singled out Richebourg, which he feels has made enormous strides in recent years. Indeed, it was not so long ago that it was being poured at this same annual event before the Romanée-Saint-Vivant. The 2015s are generally pleasurable wines, as banal as that reads. They have taken a secret oath to offer drinkers sensory satisfaction, as well as an intellectual experience. As such, they are reassuringly approachable in style, with lighter tannins, (excepting Richebourg and to a lesser extent, La Tâche), lively acidity levels, pretty red fruit and distinct terroir expression. Romanée-Conti outplayed La Tâche this year, the former exuding tremendous harmony and composure, conveying a sense of effortlessness. It accepts supremacy without fuss and no complaint from its siblings. La Tâche was relatively unsure of itself, mercurial and introspective, and as such it will require several years to develop cohesion and grace. Maybe that is what fuels the intrigue and fascination – the 2015 La Tâche is a blend of Pinot Noir and enigma. Between Richebourg and Romanée-Saint-Vivant, the former is one of the standouts this year, not the behemoth you might have found in previous vintages, yet with a solid spine of tannin, enormous depth and simmering power. It threatened to overshadow the Romanée-Saint-Vivant that cowed when initially juxtaposed against the Richebourg, and yet with aeration, developed a compelling edginess that enhanced complexity. Echézeaux is another vineyard that Aubert de Villaine opined has improved in recent years and it showed extremely well, although predictably Grands Echézeaux ramps everything up another level. Since its debut in 2009, Corton seems to be assimilated into the “DRC family”, sharing the DNA of Grands-Echézeaux and Romanée-Saint-Vivant. Earlier vintages were a little showy, as if Corton was desperate to fit into its illustrious company. That is not the case now. I should have known. “Of course,” came the reply. Bertrand de Villaine scribbling his thoughts. I wonder how many points he gave to La Tâche? The bottles of 1999 DRC that I have tasted since 2002 have unremittingly reaffirmed the notion that this was a benchmark vintage for Domaine de la Romanée-Conti. You just need to peruse my reviews, or those of Antonio or Steve. Corney & Barrow kindly sent me the original press release, where I found a quote by Aubert de Villaine that read: “Nature acknowledged the 1999 vintage and answered all our efforts made these last 10 years. We had already seen superb grapes over the last decade, in 1990 and 1996 for example, but 1999 surpasses them all in finesse and maturity.” It implies that 1999 was not a result of a single growing season but incremental improvements over the preceding decade. Maybe the starting point was the 1991 vintage when Aubert de Villaine gained control after the acrimonious ousting of Lalou Bize-Leroy from the board. This idea of the Domaine inching its way towards the 1999s is attested to by my personal experience of their wines in the first half of the decade, when I felt that they were hampered, almost contained, by difficult vintages. Aubert de Villaine and Bernard Noblet were essentially learning their craft by the best means, trial and error. The 1995s saw a noticeable step up in quality whereby the wines began matching their lofty reputation. You can also see them as precursors to 1999s. Eighteen years later the 1999s remain a high point for the Domaine, undiminished and even enhanced by the passage of time. The growing season began inauspiciously with deluges throughout spring, 80mm falling in March and April. The weather turned face in June with 15 days of uninterrupted sunshine and temperatures reaching the mid-thirties that enabled successful flowering. August and September were both hot and dry, with temperatures peaking at 37° Celsius over the first three days of August. These months defined the character of the 1999s, as sugar levels began to rapidly concentrate inside the berries. A small early picking on 14 and 15 September was so good that it prompted the release of the inaugural Vosne-Romanée 1er Cru Duvault-Blochet, named after their ancestor, Jacques-Marie Duvault-Blochet. The main harvest was between 20 and 27 September, with a second passage through the vines between 27 and 29 September. Yields ranged from 18.2hl/ha for the Romanée-Saint-Vivant to 35.2hl/ha for the Richebourg. As a 1999 could not be sourced, we commenced the tasting with the 2009 Montrachet. Our bottle was oxidized. I should add this was not the first time I had encountered a heinously pre-moxed bottle of Montrachet from the Domaine. (The worst was a magnum of 2002 Montrachet three or four years ago – that’s an expensive bit of oxidation). Fortunately I have since re-tasted the wine and will soon publish another note. I had not encountered the maiden 1999 Vosne-Romanée 1er Cru Cuvée Duvault-Blochet since bottling. It has a gorgeous, generous, peppermint-tinged bouquet that feels so carefree, and like the Echézeaux, exotic compared to the other Grand Crus from the Domaine. The palate is ageing extremely well, dare I suggest, a Grand Cru in all but name with fine, supple tannin and an almost Chambolle-like finish. Approaching two decades, those who bought this wine for a relative song compared its elder siblings will have picked up a bargain. The 1999 Echézeaux was corked. Fortunately I was served a pristine bottle at a private dinner at a later date. It is a lovely wine that perhaps translates the precocity of the growing season rather than the terroir, exotic by the Domaine’s standards, and yet still thoroughly enjoyable in an atypical hedonistic sense. Now that I have got those two culprits out of the way, I can broach the bottles that did show well. Hereon, from Grands Echézeaux up to Romanée-Conti, each bottle enhanced and deepened my reverence towards this vintage and the Domaine. It was “buckle your seatbelt” time. I had my cerebral thesaurus opened ready for the superlatives. 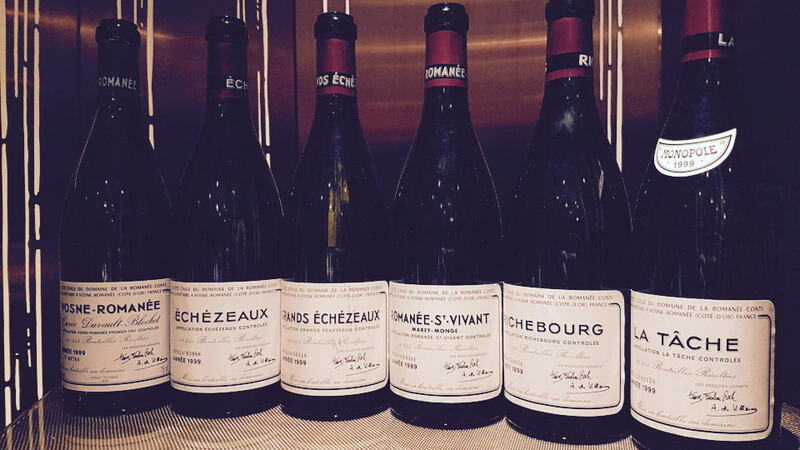 I had not tasted the 1999 Grands Echézeaux since the Corney & Barrow tasting in 2002. It is incontrovertibly superior to the Echézeaux, principally because the terroir shines through in the wine, disallowing the summer warmth to shape and define it, suffused with a sense of harmony and precision that enraptured the senses. Those leitmotifs of “precision” and “harmony” allied with “concentration” and “precociousness” ran through all these wines to varying degrees. The 1999 Richebourg demanded attention thanks to its arching structure and mineralité, making a deeper impression than the 1999 Romanée-Saint-Vivant, whose virtues were its satin texture and the manner in which is pirouetted across the senses. We could have stopped here and been satisfied, yet the La Tâche and Romanée-Conti had been patiently waiting their turn. Along sashays the 1999 Romanée-Conti and for the very first time in 20 years I had to question my perfect score. For a fleeting moment I considered introducing some mathematically absurd system like Michael Broadbent’s six out of five stars or 101-points. It was the nonchalant and effortless way in which it just sized up the La Tâche and took every facet: complexity, detail, definition, purity, depth and persistence to a rarefied and untouchable level, where words cannot do justice. Why bother to describe the ineffable? It is simply one of the most profound Burgundies that I have ever tasted. And I was not the only one that was moved that way. The entire room was almost hypnotised by the 1999 Romanée-Conti, and I should add that these are people who probably pour La Tâche for breakfast. The 1999 is one of the all-time legendary Burgundy wines. 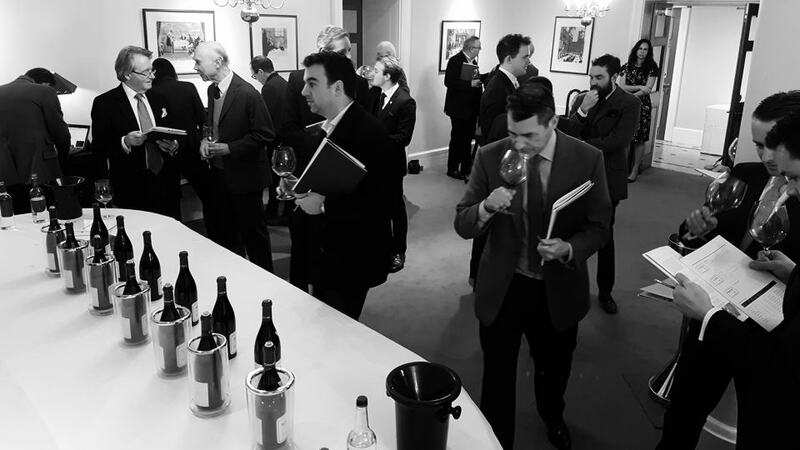 After 20 years attending the same tasting in London, you might expect to become inured to the wines of Domaine de la Romanée-Conti. On the contrary, they remain just as fascinating to taste because whether it is 1999 or 2015, they unswervingly reflect the vagaries of the growing season and wear their hearts on their sleeves. They are not pimped up, manipulated or buffed up to inveigle those critics who see size and concentration as a measure of quality. Over the last two decades the Domaine has evolved in terms of introducing biodynamics, the addition of the Corton fermage and the occasional appearance of the Cuvée Duvault Blochet, not to mention recent changes in the winemaking team that herald a new era. Since 2002 demand for the wines has intensified to a level unimaginable back then. Inevitably, prices have skyrocketed in tandem. Yet there is always magic in these wines. There is something that you cannot quite put your finger upon. To my surprise, when I compared my scores for both vintages, they were unerringly similar save for one or two points. That testifies the quality of the 2015s, even if they are a very different style to the 1999s. In some ways, the 1999s are anomalous to the signature style of Domaine de la Romanée-Conti, a kindred spirit to the 2009 in terms of fruit intensity, opulent and sensual. Of course, in a story now probably too often retold, the 1999s from Domaine de la Romanée-Conti had more profound repercussions than a surprisingly successful wine writing career. The article piqued the attention of a young employee at Berry Brothers & Rudd and, under the false impression that its author was sitting on a pile of La Tâche, sent him a message inviting him to meet for dinner. Sixteen years and two kids later she is preparing dinner in the kitchen as I write these final words, pondering the idea that maybe that pile of DRC never existed. Life is funny like that, isn’t it?